Removing weeds by hand can be tedious and backbreaking. A sharp hoe can eliminate all that by severing weeds so that you don’t have to bend over or strain your back. To hoe, you simply swing the blade against the weed near the base. If you notice seed pods on the weeds, make sure to remove them first and discard them far away from you garden, or you may end up with more trouble than you started with. If you already have plants in your garden, you may want to purchase a hoe with a thin blade for easier maneuvering around your precious plants. So, when is the best time to weed or hoe? Never! Ideally, you want to stop weeds before they start, so let’s discuss what can be done before weeds even think about sprouting. Here’s something you may not know. Weeds can lay dormant under the soil’s surface for quite some time. If you disturb them, you may end up waking these dormant, bothersome pests. What can you do though? You have to prepare your garden bed by tilling and aerating the soil. However, once you have established your new garden bed, be careful not do any unnecessary cultivating to wake up those weeds. Then, remember that the closer you plant your plants, the fewer weeds will find space to grow there. After planting your garden, mulch, mulch, mulch! 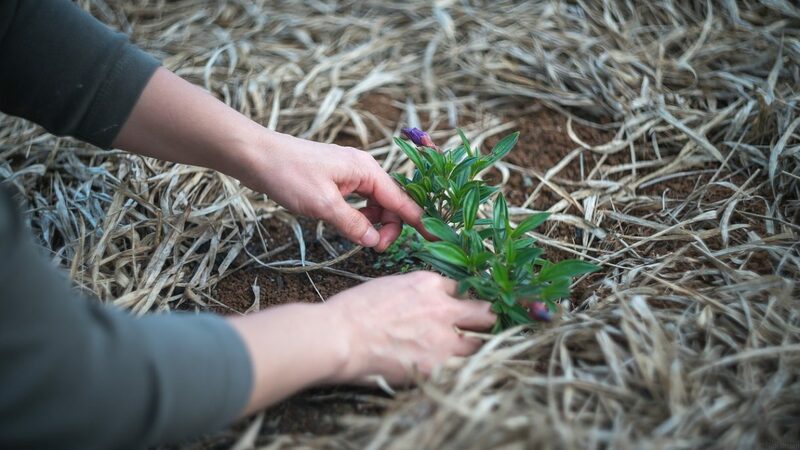 Apply at least two to four inches of mulch to help block weeds from emerging. Mulch also works as a great insulator, helping to retain soil moisture and heat. Edgewater, Oak Hill, New Smyrna Beach, Port Orange, Daytona Beach, Ormond Beach, Mims and surrounding areas.